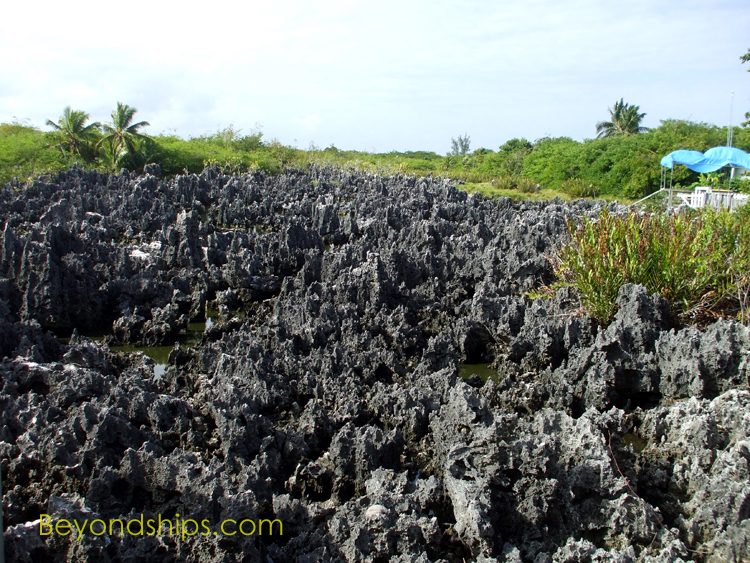 One of Grand Cayman's most visited tourist attractions is an area of exposed rock. 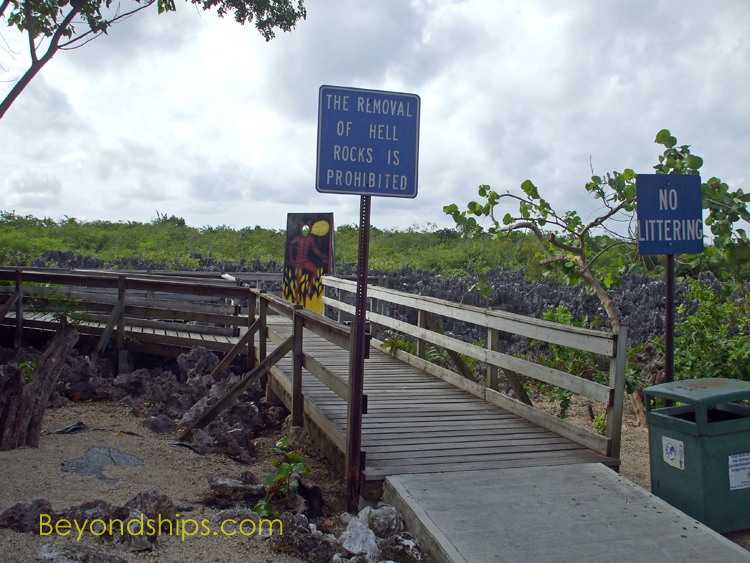 According to legend, Hell obtained its name from a British colonial official who on seeing the area declared that his place is what hell must look like. The exact origin of this rock formation is subject to debate. However, the rock has a high metal content giving it a metallic sound when it is struck. Capitalizing on the name, there are shops here selling souvenirs with a devil or underworld theme . 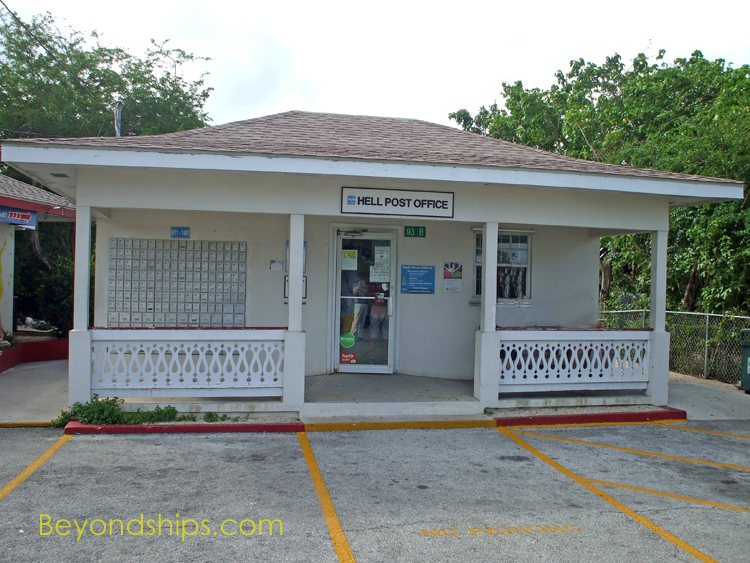 There is also a post office where visitors can send postcards that will carry a Hell postmark. It does not take long to see all there is to see at Hell. 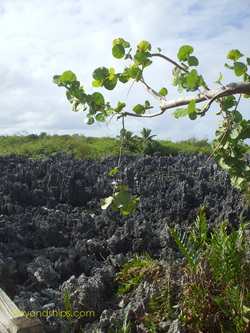 Consequently, this attraction is usually combined with other attractions on tours of the island. Above: The Hell Post Office. 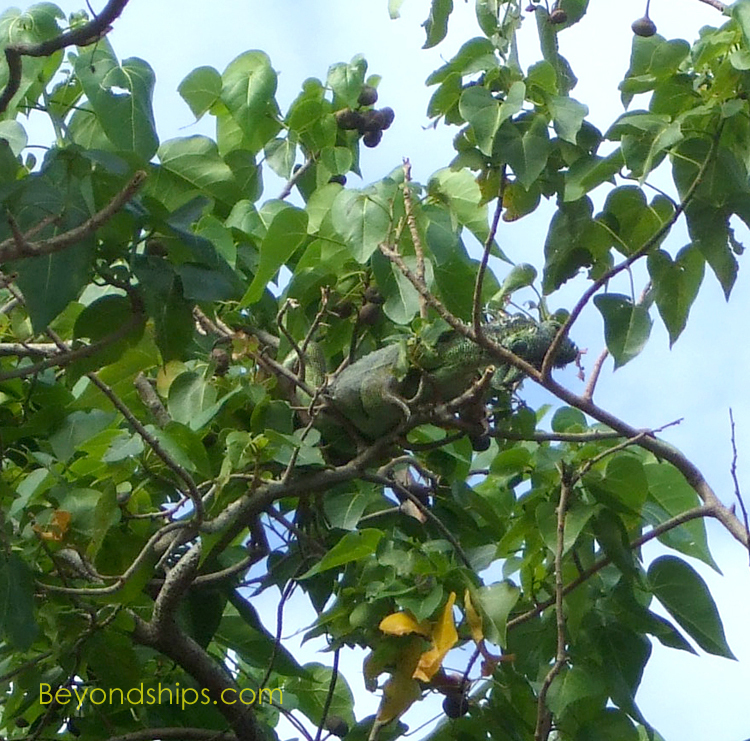 Left: An iguana observes the tourists from the safety of a tree.